Ever wish you could sit down with one of your favorite authors and just talk about writing? In 10 Takes: Pacific Northwest Writers—Perspectives on Writing (Glad Eye Press, August 2015), Jennifer Roland does just that. From novelists to poets to playwrights, Jennifer interviews a variety of authors who have one thing in common—they have all chosen to make the Pacific Northwest their home. Covering a diversity of disciplines—from comics, fantasy, and detective novels to long-form poetry and illustrated children's series—10 distinguished authors provide unique perspectives about their craft, provide helpful writing advice and tips for success, and share their passion for living and writing in the Pacific Northwest. Sit in on their conversations in this Q&A book! 10 Takes: Pacific Northwest Writers is available for pre-order at Glad Eye Press. To win a copy of Ten Takes: Pacific Northwest Writers please enter using the Rafflecopter form at the bottom of this post. The giveaway contest closes this Friday, August 14th at 12:00 AM EST. We will announce the winner the same day in the Rafflecopter widget. Good luck! Jennifer Roland is a freelance and marketing writer with more than 20 years experience in newspaper, magazine, and marketing environments. Jennifer also works as a virtual assistant to writers, helping them build their online presence and connect with readers so they can focus on what they love—writing. WOW: Jennifer, thank you for choosing WOW! Your time is important and we are happy you've chosen to spend some of it with us. How do you manage your time and make sure your writing doesn't get neglected? What advice do you have for other writers who struggle with time management and their craft? Jennifer: It’s hard. There are times when my creative well is completely dry and I don’t feel like I can find anything to put on the page. And that means I need a break—it’s okay to take breaks to regain your creativity if you need it. I know Eric Witchey and I talked about this in his interview. The gist of what he said is that the question of how you find time to write is just not appropriate. The question should be “What time of day do you write?” You have to make your writing a priority. It’s not going to do that for you. WOW: It's interesting, I always find time for coffee, but sometimes can't find time for writing. Maybe I should flip flop those on my priority scale. Now you've got me thinking. You mentioned Eric Witchey and this leads me to my question about your favorite author. Who is your favorite author and why? Jennifer: That’s like asking me to pick my favorite kid. (Of course, I’ve only got one, so I can tell him he’s my favorite as much as I want.) I’ve enjoyed so many authors over the years. I was so lucky that I learned to read when I was three, so I’ve been able to read so many books in my life. I loved Nancy Drew books as a young girl, and I moved on to horror, fantasy, and science fiction as I got older. Anne McCaffrey, Elizabeth Moon, Stephen King, Dean Koontz, Kim Antieau, Mercedes Lackey, Isaac Asimov—there are just so many good writers in speculative fiction. But if I have to pick one writer, it would have to be Margaret Atwood. The Handmaid’s Tale never gets old, and I’ve never read anything of hers that hasn’t been absolutely enthralling. WOW: So many favorite authors and such little time! When did you know you wanted to be a writer? Jennifer: I think I was 9 or 10. I was such a bookworm, and I wanted to make the books that people liked to read. But I didn’t do much with that desire as a teen. It was scary. And I never wanted to put all of myself into the writing work I did in school—if I got bad marks on a piece I didn’t really work that hard on, the bad marks didn’t count, I guess. I decided to pursue journalism in college because it helped me pursue writing without the scary part of creating fictional worlds and stories that people might not like. Facts are safe. And I love journalistic writing. Talking to experts and distilling their knowledge into something we regular people can understand is such a challenging task, and even the most arcane subjects can be made interesting. WOW: Who has been most supportive through your journey as a writer? Jennifer: My husband, first and foremost. He takes care of our son so I can work and write at night. And he put up with me being glued to my computer screen even before we had our son when I was working on my first book, which was a collection of articles from the education technology magazine I used to work for. He is always the one who convinces me to invest in myself, and he always talks me up to our friends. It’s pretty amazing, and I should probably go thank him personally for being so great. Also my publisher for this book, J.V. Bolkan. He and I worked together on that ed tech magazine, and he is the one who asked me to write that first book. When he left our former employer and decided to start his own publishing company, I jumped at the chance to send him a proposal. He and his wife and business partner, Sharleen Nelson, are both so great to work with. WOW: Sounds like such a fantastic journey; filled with successful friendships! How do you celebrate your successes? Jennifer: Beer. I am in the northwest, after all. WOW: Of course, we can't talk about success without the rejection...how do you cope with rejection and what advice can you give to others? Jennifer: Rejection is never easy, but the more of it you get, the less it hurts. You start to realize it has very little to do with you. Either your story isn’t the right fit for the publication or it’s something they’ve covered recently or they’ve just published too many stories by Jennifers this year. We all have room to improve, of course, but a rejection doesn’t mean you’re a bad person or even a bad writer. You just have to find the right fit for your work. So let’s all agree to send something out and get rejected today. It will hurt. Then get rejected again tomorrow, and the next day, and so on. It’s never going to be fun, but it will be an opportunity to get you closer to the right place for your writing. WOW: Great advice, Jennifer! So, what's next for you? Jennifer: I’m continuing the 10 Takes on Writing series. My publisher and I are still working out the details of which topic I’ll cover next, but I’m excited about the ideas we’ve got and what they can offer the writing community. And I’m continuing to freelance and work on my own fiction. I hope to be back here soon to talk to the Women on Writing community about my next big thing soon. WOW: We'd love that! Okay, sort of a quirky question I like to ask: What advice do you wish someone would have given you back in high school? Jennifer: Don’t be so afraid! I held myself back so many years because I was afraid of what people would say or think about me if they read my writing. I have no regrets about where my career has gone, but there’s always the little voice that asks “what if?” What if I’d been more willing to write all the time and share my writing with others to get feedback and criticism sooner? I can’t go back in time, but I can make sure that I don’t let fear hold me back in the future. And I want everyone out there with a story to tell to move past your fears. Write. Share your writing with other writers. Learn how to be a better writer. Just keep doing it every day. WOW: If you had to chose a song to go along with your book, what song would it be and why? Jennifer: That is a tough question, because I have listened to so many songs while working on the book. I think I can narrow it down to “A Sorta Fairytale” by Tori Amos. Everything Tori Amos writes or sings is so inspiring to me, but I particularly love the storytelling aspect of that song. Each of the writers I spoke to shared so much about their own storytelling styles and the ways we can adapt our writing to integrate their experience and advice. I want fellow writers—and those who just love knowing what makes we writers tick—to read these interviews and be immediately inspired to create something, whether it’s a fairytale or not. WOW: Thank you again Jennifer. I know I can't wait to follow your tour and learn more about Ten Takes and you. Thanks for this opportunity! Don’t miss today’s inspirational guest post by author Jennifer Roland as she explores the topic of “Creative Inspiration” and offers one lucky blog reader a copy of her latest book: Ten Takes: Pacific Northwest Writers. 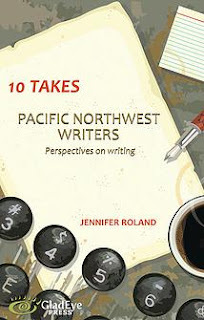 Katherine Hajer reviews the latest book “Ten Takes: Pacific Northwest Writers by Jennifer Roland. Find out what Katherine has to say and get in on the giveaway to win your very own copy! Katherine Hajer offers readers an opportunity to hear from guest blogger and fellow author Jennifer Roland as she discusses “Writers Groups” and offers insight into her latest work titled Ten Takes: Pacific Northwest Writers. Recently touring WOW! author Ava Louise hosts author Jennifer Roland who writes today’s guest post “Tidbits Around the Pacific Northwest”. Find out more about Jennifer, her thoughts on the Pacific Northwest, and her latest book series Ten Takes on Writing. WOW! Blog Tour Manager Crystal Otto reviews Ten Takes: Pacific Northwest Writers by Jennifer Roland and offers one lucky blog reader a chance to own this book for themselves! Don’t miss today’s review and giveaway! 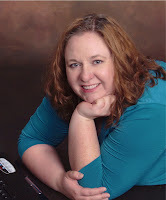 The lovely Gina Hott of Hott Books is hosting author Jennifer Roland who writes today’s guest post titled “Interviewing Tips and Lessons Learned”. Find out more about Jennifer, her thoughts, and her latest book Ten Takes: Pacific Northwest Writers and participate in the giveaway to win your very own copy of this unique book! Audry Fryer hosts today’s guest post “Writing Around a Day Job” by Jennifer Roland. Don’t miss this insightful post and opportunity to learn more about Roland’s latest book Ten Takes: Pacific Northwest Writers In addition, a giveaway will also be offered. M.C. Simon reviews “Ten Takes on Writing” by author Jennifer Roland. Read Simon’s thoughts and get in on the giveaway to win a copy of this book for your own library! Renee Roberson offers readers an opportunity to hear from Jennifer Roland on the topic of “Time Management for Writers”. Learn more about this invaluable topic and get in on the giveaway for a copy of Roland’s latest book Ten Takes: Pacific Northwest Writers. Jennifer Roland partners with Mari McCarthy of Create Write Now to offer readers a guest blog about “Making a Living Writing”. This is a great opportunity to learn from Roland as well as participating in a giveaway to win her latest book Ten Takes: Pacific Northwest Writers! Today on Lisa Haselton's Reviews and Interviews blogs readers can learn more about Jennifer Roland and her latest book Ten Takes: Pacific Northwest Writers and participate in a giveaway where one lucky winner will take home this fabulous book for their own collection. Jennifer Roland also offers a guest blog post about "Writers Conferences" so don't miss this great stop! Jennifer Roland visits Memoir Writers Journey with Kathleen Pooler and writes today’s guest post titled “Lessons Learned from Authors I’ve Interviewed”. This is a great opportunity to learn from Roland and find out more about her latest work Ten Takes: Pacific Northwest Writers! Enter to win a copy of 10 Takes: Pacific Northwest Writers—Perspectives on Writing by Jennifer Roland! Just fill out the Rafflecopter form below. We will announce the winner in the Rafflecopter widget THIS Friday, August 14th! Jennifer--Good luck with the book. It's always fascinating and inspiring to talk to other writers. And imagine where we would be now if we had all gotten that advice--"Don't be so afraid"
Sioux, Isn't that the truth? Fear protects us, but it also holds us all back from so many amazing things. I can't change my past, but I'm definitely focusing on my future. And, I'm hoping to do a great job teaching my son to recognize the difference between healthy fear and confining fear. Very good interview. I love discovering great new female authors who are interesting and write well. I will be following you and you work. You have a new fan in me. Thank you, Lovelylocs. I'm sitting here blushing. I am an aspiring children's book writer and would love to break into the business, any tips you can give me? Cheryl, Suzanne Williams, the children's author I interviewed, suggested taking a course from the Institute of Children's Literature. The course she took required that you send something out to get published so it was a great way for her to get started in that genre.